WOODBRIDGE, N.J. — Bergman Real Estate Group, a real estate investment and management firm based in Woodbridge, New Jersey, announced the opening of a new Tenant fitness center and yoga studio at its Florham Park Corporate Center, located at 25 A Vreeland Road in Florham Park, N.J. The 3,500-square-foot fitness center, which includes a yoga studio, lounge and game room, is outfitted with cardio and weight training equipment and offers men’s and women’s locker rooms and showering facilities, so gym users can refresh before returning to the office. 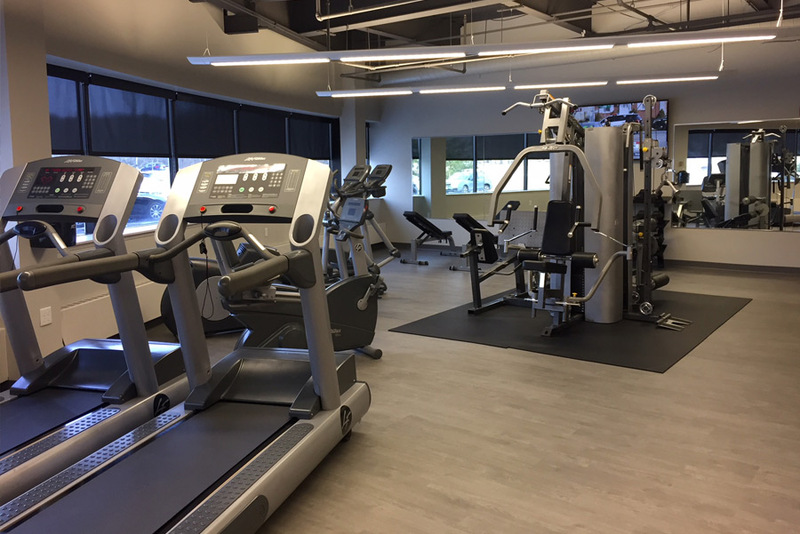 More than 1200 tenants signed up to use the fitness center in the first week, a testament to the demand for health and wellness amenities at Florham Park Corporate Center. The fitness center is one of several unique amenities opening at many Bergman Real Estate Group-owned properties, as part of a corporate capital improvement campaign to upgrade assets across its portfolio. According to Bergman, the new fitness center is consistent with the company’s philosophy: to transform suburban office environments into more comfortable places to work. Florham Park Corporate Center is comprised of two three-story atrium buildings totaling 230,000 square feet. In addition to the brand-new gym, tenants can take advantage of a shared conference and training center, a game room with ping-pong and TVs, full-service cafe with seating, an outdoor courtyard, dry cleaning service, an on-site car wash and an app-based bike-sharing program. More improvements to the common areas and lobby are planned for late 2018. Tenants can easily access many of New Jersey’s major highways from Florham Park Corporate Center, including routes 10 and 24, and interstates 78, 280 and 287. Midtown Manhattan is 27 miles away by car. The corporate center is also centrally-located to Newark Liberty International Airport and Morristown Airport, as well as several hotels and conference centers. Florham Park Corporate Center is owned by Bergman Real Estate Group and Rialto Capital Management, LLC. The leasing agents are Richard Madison, Rich Mirliss, Jack Callahan and Alex Vitro of Colliers International. Available spaces include 27,200 square feet on the third floor and several units ranging from 3,200 to 21,000 square feet. Visit www.FlorhamParkCorporateCenter.com for more information.